The Burrito Project (South Pasadena / Lincoln Heights / Los Angeles) is made possible because of the help of so many people, companies and organizations. We’d like to say a special thanks to the following companies who help us out on a continual basis. Camp Hollywood – Camp Hollywood is an annual Swing Dance convention where dancers from around the world gather to dance and compete in the National Jitterbug Championships. This year marks the 20th anniversary of Camp Hollywood and The Burrito Project will be a selected charity partner. Greenbar Distillery – Based in Los Angeles, Greenbar Distillery is LA’s first distillery since Prohibition and one of the first craft distilleries in the U.S. Greenbar Distillery has partnered with The Burrito Project for the month of March to donate 10,000 burritos to the hungry here in Los Angeles. Rodeo Grill Restaurant, Silverlake – This a great Mexican Restaurant with tasty food at affordable prices. There are several locations to choose from around Los Angeles. This restaurant donates rice and beans on a monthly basis. Daiya Foods – In Sanskrit, Dayaa means “loving, kindness and compassion”. Daiya products are free of dairy (casein, whey and lactose), soy and gluten – three of the most common allergens. Their products are also free of any animal-based ingredients, making them 100% vegan. Daiya Foods has been very generous with providing The Burrito Project a healthy cheese alternative for our burritos. Burrito Project Domains – Great deals all year round on Domain Names, Hosting Plans, Email Plans, Web Design Services & Marketing Tools. We offer 24/7 Customer Service as well as our Network 99.9% UPTIME Guarantee for our hosting plans. All profits from any sales support The Burrito Project. Square – A majority of our online donations are made using Square. If you are looking for a convenient way to accept credit card payments, we highly recommend giving Square a try. Here’s a handy referral link which will give you free credit card processing during the trial period. https://squareup.com/i/3BAC83FD When you activate a Square account through this link, we can BOTH process up to $1,000 in credit card sales for free during your first 180 days. Cheers! Alpine Design – Alpine Design provides drafting, design & expediting services for construction projects of all sizes, from residential additions to commercial renovations. 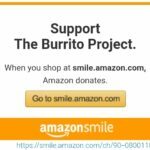 10% of profits are donated to support The Burrito Project. iRestore – Rapid Restructure – iRestore is an educational program which has been created to give you the education, direction and tools you need to take back control of your personal finances! When purchasing this program, 20% of profits will be donated to support The Burrito Project.